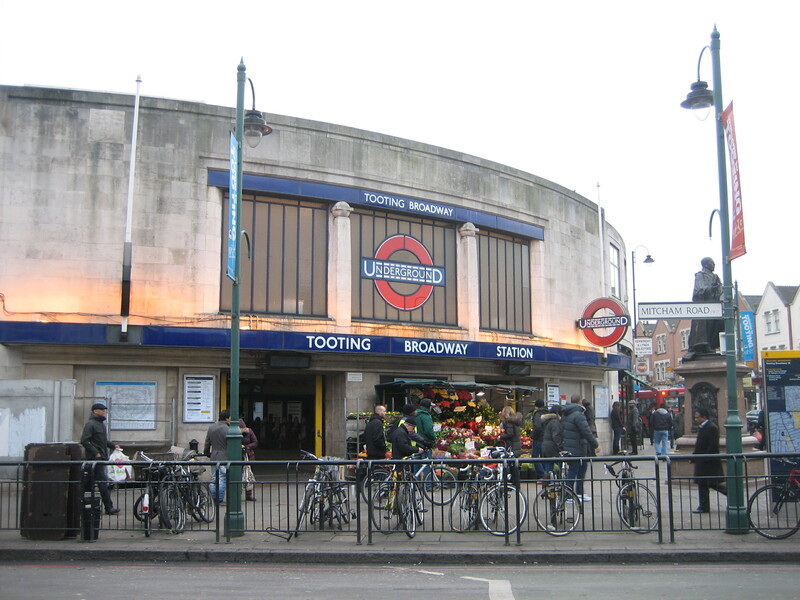 Subject of one of the saddest songs ever written about the Underground, Tooting Broadway station is a location ripe for emotional statements. So here’s one. 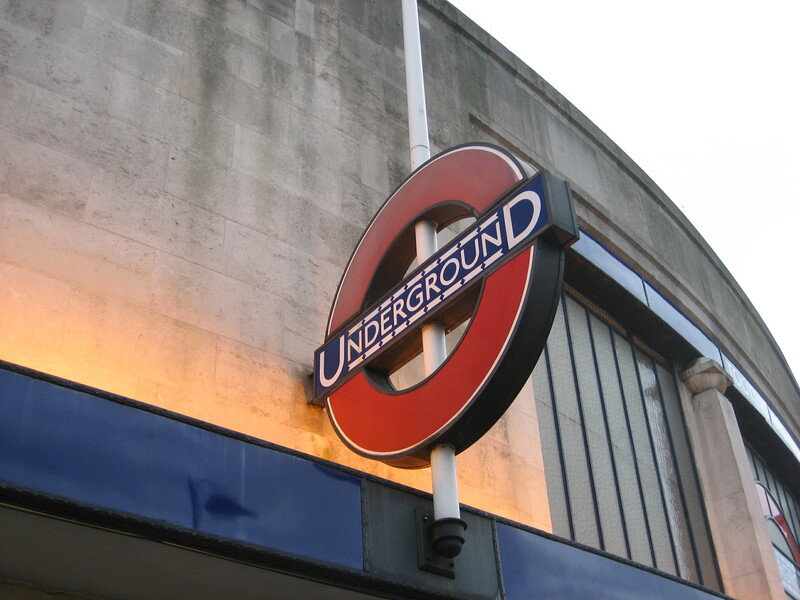 It is a thrillingly modernist smear across an otherwise unremarkable palette of suburban London. Judge it by colour, shape, size or purpose, it’s everything the surrounding area is not. In the other category sit the illuminations that usefully pick out some of the building’s features during the day, but really come into their own at night, when the place turns the charm up even further and poses as a beautiful glittering palace. Yes, the lights are always bright on Broadway. 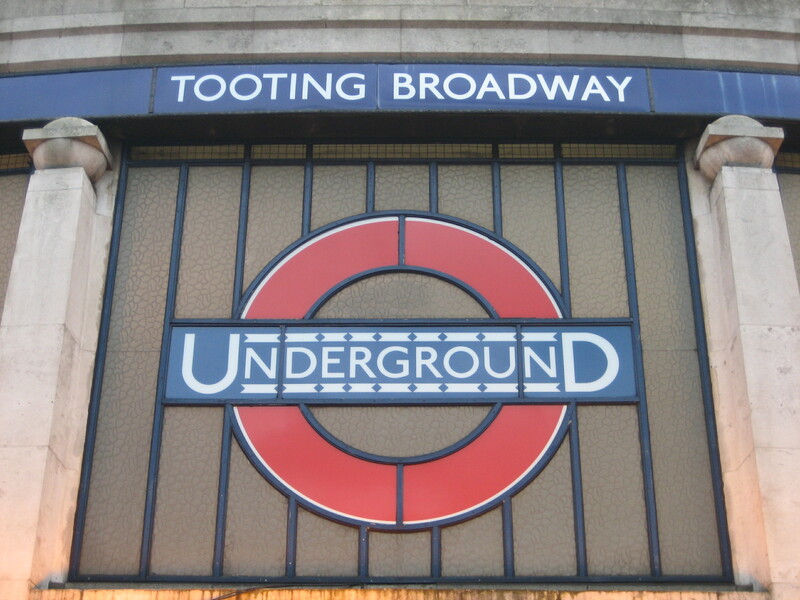 I’m uneasy about royals having anything to do with the Underground. The two institutions are mutually exclusive. One values splendid isolation; the other, glorious diversity. Whenever a royal is shoved on to the Underground for some official opening or other, they look desperately discomfited or unhappy. The same goes for all the commoners playing host. Better to keep these two worlds well apart. 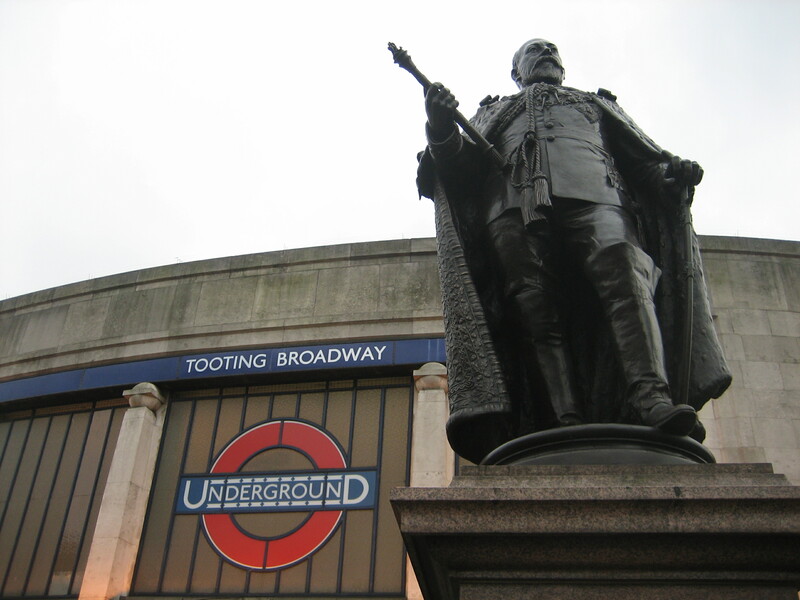 I know the statue predates the Northern line’s arrival, but I’m far more comfortable associating Tooting Broadway with Patrick Fitzgerald‘s “John of Arc” than Edward VII. I particularly like your juxtaposition of ‘splendid isolation’ and ‘glorious diversity’. And it brings to mind the time the Queen drove the train at the opening of the Victoria Line. What about the top of those columns, 3 dimensional roundels. Sensational.